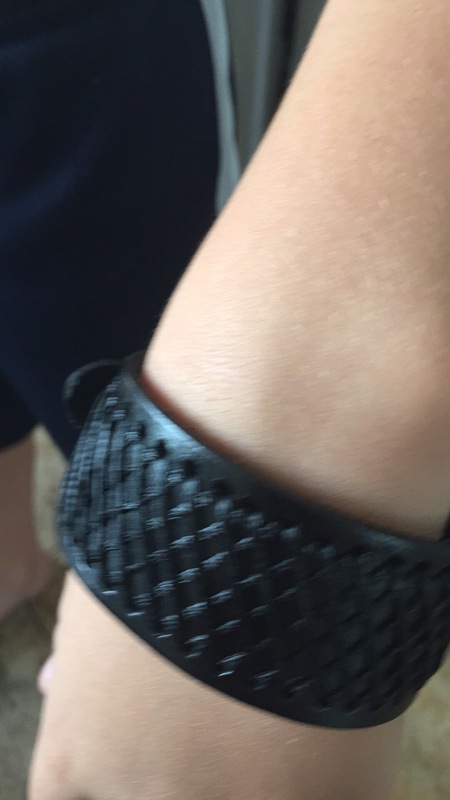 I purchased this handmade, black genuine leather wristband for my grandson. He is nine years old, but because this leather wristband has an adjustable buckle on the back of it, he is able to wear it. He finds this wristband very comfortable to wear and stylish. This wristband is a a very well made, handcrafted and well constructed Men’s leather mesh braided wristband. The leather wrist band is about 30 mm wide or approximately 1 1/4 inch wide. 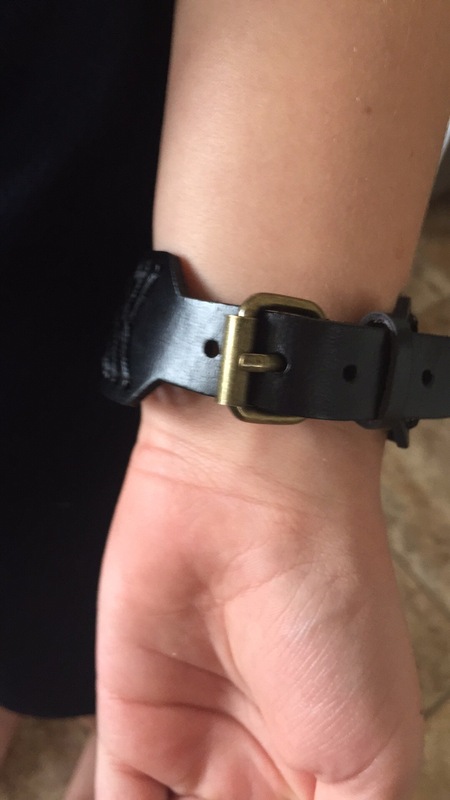 This leather wristband is made for an adult, but because of it’s adjustable strap my grandson can wear it too! This wristband is adjustable which makes him able to wear this often for many years. That’s as long as he takes good care of it and puts it away after each use. Great quality product for the price! I would recommend it for teenage boys and adults. Makes a nice quality gift. The material in the this pair of toeless ankle socks are great. The socks have the perfect thickness of material, so I wear this brand often in the summer. I can already notice a difference in the pain in my ankles and arches of my feet. My ankles, feet and arches of my feet are less painful. Wearing these compression socks has also started helping reduce the swelling in my ankles and feet. My left ankle and foot is a bit more painful then my right. Wearing this ankle sock gives my ankles, feet and arches of my feet enough support so that I will continue to wear these socks. Other compression socks I have bought are made out of material that is a little thicker than this latest pairs I purchased. Other socks I find painful to wear and are just to tight and constricting. Thicker socks just aren’t as comfortable to wear. I like to wear my new compression toeless ankle socks/sleeves sever times a week. I was them daily for the past couple of weeks. I am going to buy a couple of pairs again soon. They are that helpful to me. It really helps me deal with my plantar fasciitis. I still have pain, but it has greatly lessened the pain. They are a little tight to put on and wear, but I can wear them and enjoy the hugging feeling of support the toeless ankle socks give me. Best pair of toeless ankle compression socks! Well worth the money and comfortable to wear. I bought two of the short haired black wigs for my grandson and nephew to use. They have fun playing with the wigs, styling them and wearing them for fun around the house. They both found them comfortable to wear and a perfect fit. Nice inexpensive wig. Both my nine year old son and my 30 year old nephew enjoyed having fun. I’m a granny and also tried on the black wig. It fit on my head too and was comfortable to wear. Great wig. I gave this back pack to my nephew who’s a traveling hairstylist and he absolutely loved the backpack. 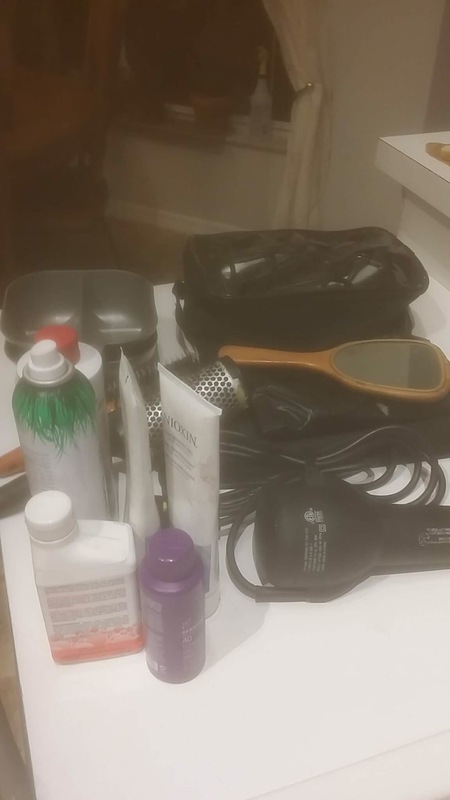 The back pack was able to accommodate all his needs when he is out out and about styling hair. 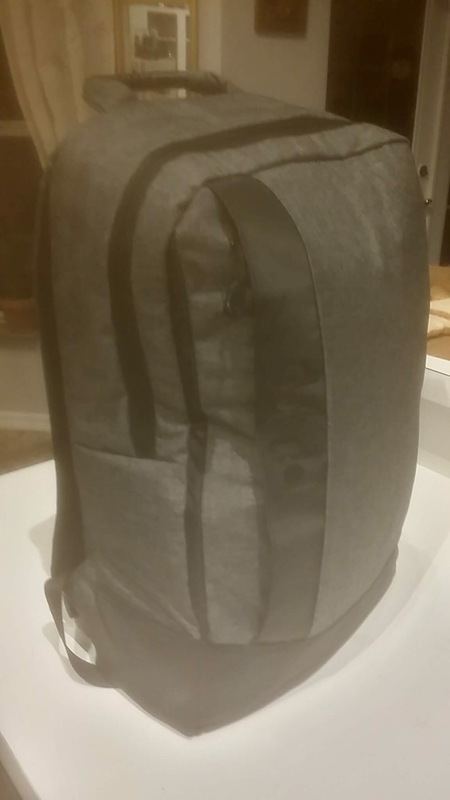 The back pack is 20 inches long and 14 inches wide. It has two comfortable shoulder straps and holds all of the contents you see in the above pic. 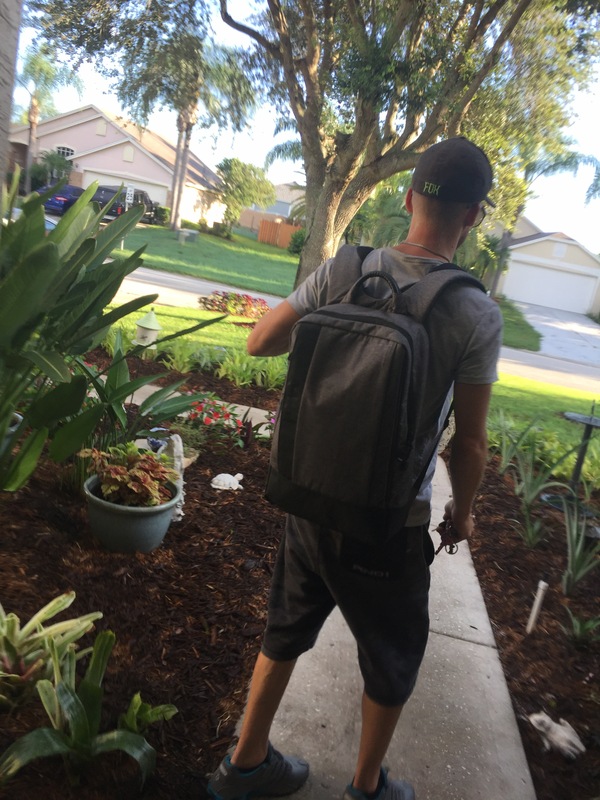 The back pack is water resistant and nicely padded to make it very comfortable. He really liked the look of the backpack. It has one large zippered compartment on the outside and one even larger zippered compartment on the inside to hold all of his styling products and shampoos. 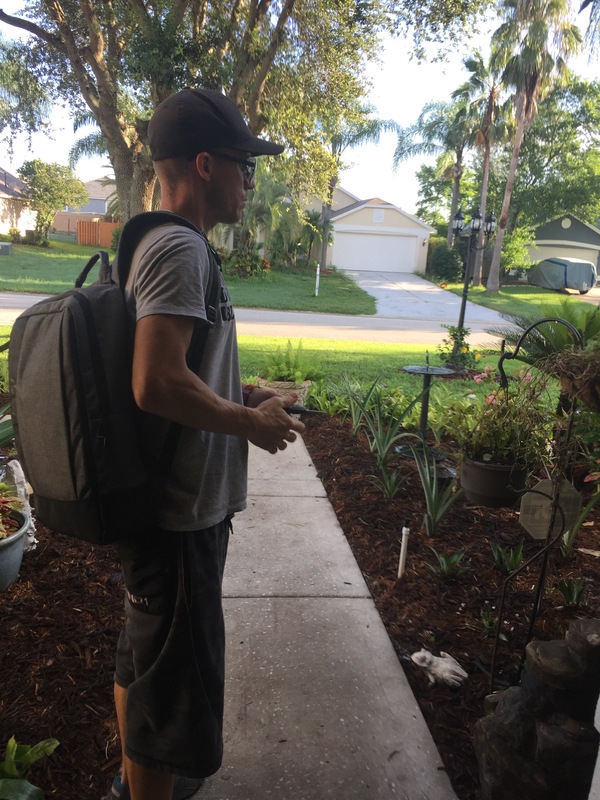 My nephew stated it was a very trendy looking bag and was light weight and easy to carry. He also liked the neutral color (light gray). It held all of the hair products he needed and was very durable and practical, yet looks amazing at the same time. This product is defenitaley great to hold school books or even styling products or clothes for a quick weekend getaway. He even used the back pack to hold items while on a hike. This backpack has so many uses. It is a very practical, versatile back pack. He has used it many times. He loves his new back pack. Great, comfortable back pack that holds a lot of stuff. Shea Butter is derived from the nut of the Karite Shea tree from Africa. 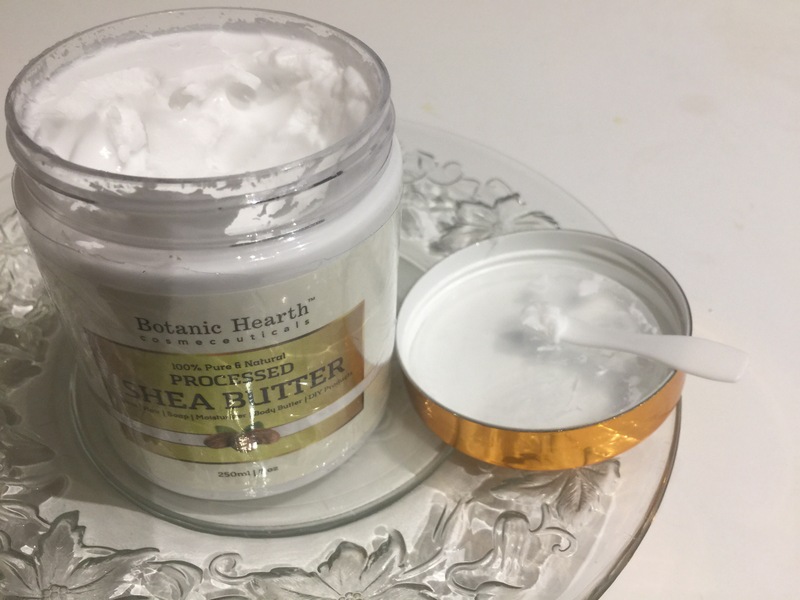 Shea Butter is used in a lot of skin care products. It is a solid fatty oil that is used under eye wrinkles, to reduce facial lines and greatly reduce or even at times completely rid you of dry, scaley skin. The Shea Butter is really thick and feels luxurious when applied on your face, hands, feet an other parts of your body. My hands have gotten very wrinkled, dry and old looking over the years. This is the best product I have used to repair my problem hands. 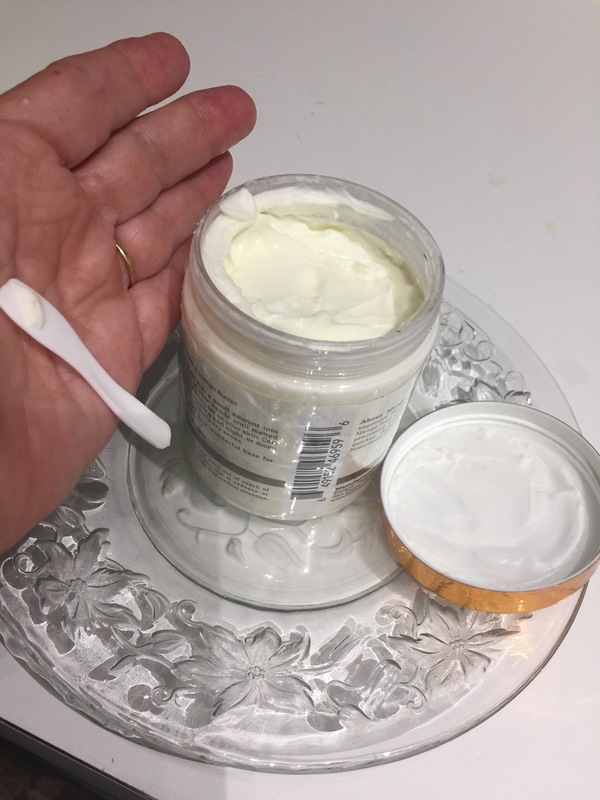 It only takes a pea size amount rubbed into each of my hands to quickly penetrate my skin and make my hands feel and look much smoother, plumper and years younger. 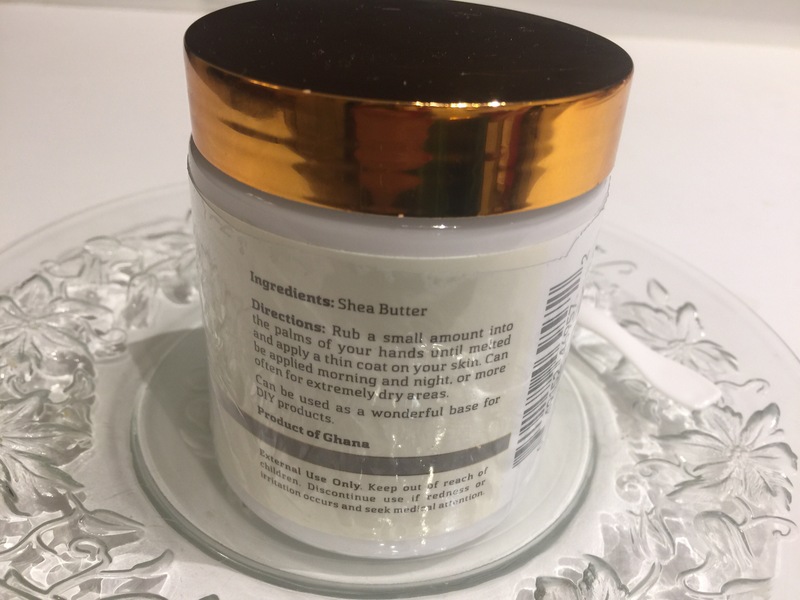 I also use Shea Butter to soften my dry, cracked elbows, knee caps and on the dry, cracked heels of my feet. I am happy to have purchased this rich Shea Butter. It is a great product that makes my skin feel so much softer, years younger and helps to reduce the appearance of fine lines and wrinkles on my face. 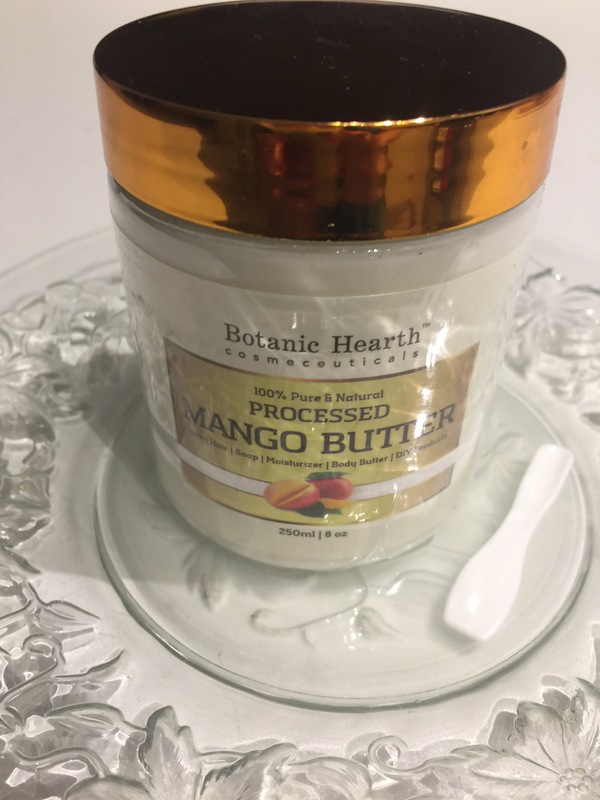 Mango butter is an exotic, sweet butter that is great to use as a moisturizer for your skin. Mango butter is pure plant based and 100 percent organic. Mango butter is light and non-greasy. A little dab the size of a small green pea goes a long way. This product absorbs easily into the skin and hair. Pure mango butter is naturally free of preservatives, yet remains fresh and good to use for up to one year as is. Just be sure to keep the mango butter in an airtight container. Also, keep the container away from extreme temperatures, direct light or moisture. Mango butter is great for all skin types. Mango butter is also great to use on skin conditions such as eczema or psoriasis. This product has many uses and is great. I recommend this mango butter as a great skin moisturizer and hair conditioner too! I am very pleased with my new 30oz. Stainless steel tumbler manufactured by BASE. 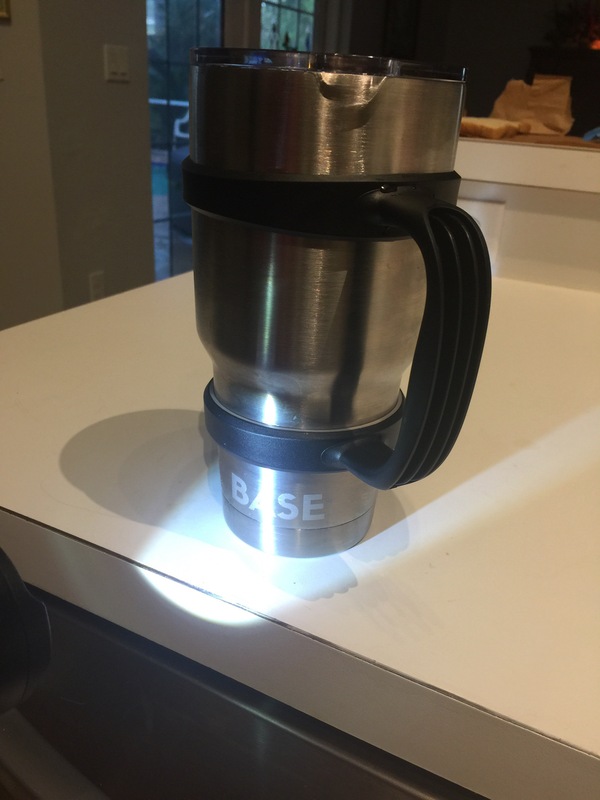 I really appreciate that when I purchased the BASE 30 oz. tumbler it already included the very nice, sleek black handle that fit perfectly. The handle provides a very nice grip. Some handles are bulky and designed a little different so they hurt when I grip the handle for more than a few seconds. Also included with this purchase is the protective, clear snap on lid/cover with the tiny hole cut out to insert a straw. Other similar 30 oz. tumblers sold by more expensive name brands do not include the handle or the snap on lid/cover. The BASE 30 oz. tumbler is vacum sealed and has double wall insulation. The tumbler is extra durable and will not dent easily. The product has seamless construction for protection from germs. And it also has a BPA free slider lid with a tiny opening for a straw (not included). This product keeps beverage just as cold or hot as the more expensive brands. I own one of the more expensive brands that ended up costing more than double the price and I see no difference. Comparing three other more expensive brands to the BASE brand tumbler, all tumblers keep the beverages hot for about six to eight hours and when you add ice to a cold beverage can keep the beverage ice cold for at least six to eight hours too and sometimes even longer. I gave this BASE 30 oz. tumbler to my nine year old grandson. At his age he is already getting fussy and already wants name brands. I am happy to say that he now leaves my tumbler alone and is very satisfied with his own new BASE Tumbler. So, for $9.99 I purchased the complete deal as opposed to purchasing a very similar 30 oz. tumbler at more than twice the cost and the handle and cover/lid aren’t included. Over all I am very happy with my purchase. 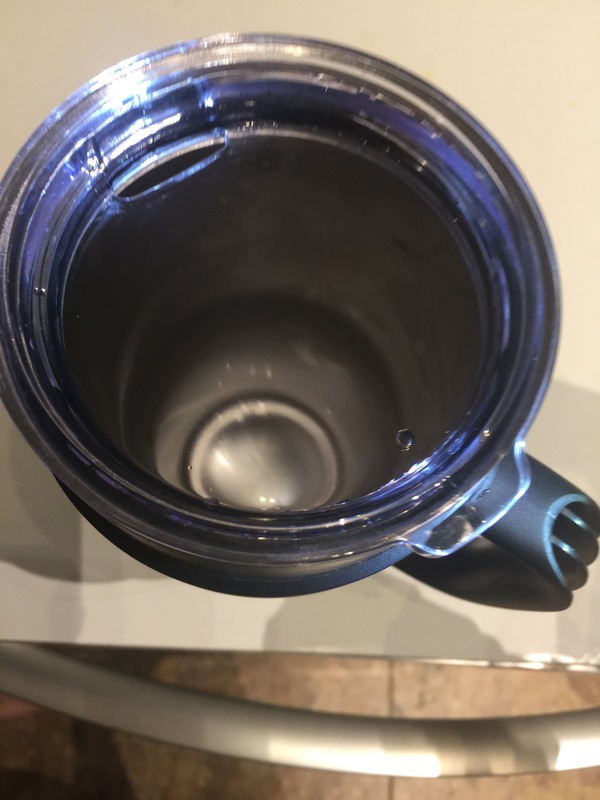 It saved me a lot of money and worked the same at keeping beverages both hot or cold.